You may be surprised to learn that most commercial ground cinnamon is actually cassia or a combination of cinnamon and cassia. This practice is permitted with no restriction by most countries, including the United States. So cassia is not necessarily another name for cinnamon; it is a completely different spice, although they are related. Cassia and cinnamon both come from the bark of a tree that is a member of the laurel family. To produce cinnamon, the tree's bark is harvested, dried and fermented, then its outer layer is removed. As it dries, the inner bark curls into thin strips, or quills. Cassia is botanically known as Cinnamomum aromaticum or Cinnamomum cassia. It is harvested in a similar process as cinnamon, but it has a stronger flavor. Native to Ceylon (formerly Sri Lanka), true cinnamon, Cinnamomum zeylanicum, has been used for centuries around the world, as a flavoring, embalming agent, preservative and for its medicinal properties. Cassia is usually a better choice for savory dishes, rather than sweets, while cinnamon is best for sweet baked goods. Dried cassia buds resembling cloves are used in the East for pickles, curries, candies, and spicy meat dishes. Tiny yellow cassia flowers have a mild cinnamon flavor and are sold preserved in a sweetened brine and used to perfume sweets, fruits, teas, and wines. Cassia leaves may also be used as a flavoring in the same manner as bay leaves. True or pure cinnamon, which is most commonly called Ceylon cinnamon, is the variety mentioned above, Cinnamomum zeylanicum. 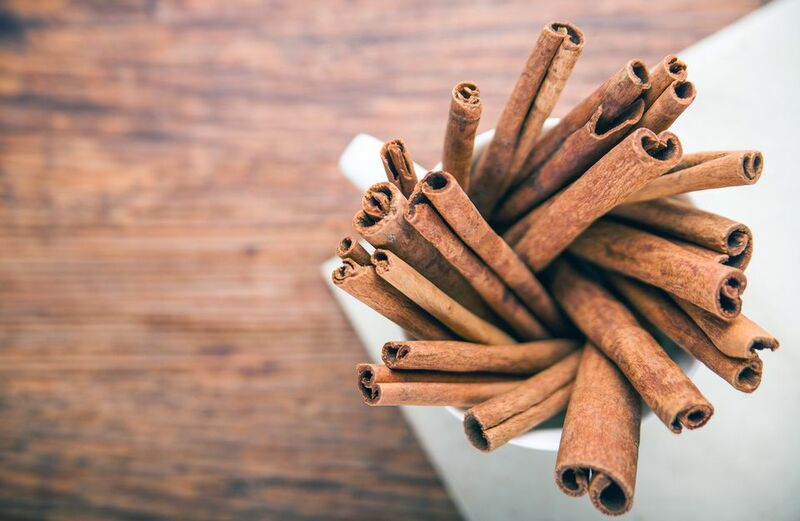 Those looking for the health benefits of cinnamon should look for the pure version as cassia does not carry the same antioxidant properties as Ceylon cinnamon. You can find Ceylon cinnamon online or in health food stores like Whole Foods Market. However, the cost of Ceylon cinnamon is significantly higher than Cassia cinnamon. Expect to pay close to four times as much for Ceylon cinnamon. Real cinnamon sticks or quills curl in a telescopic form, in a perfect circle. But, cassia sticks curl inward from both sides, appearing like a scroll. Small pieces of the quills of either cinnamon or cassia are called quillings. When ground, it is hard to distinguish between the two. But the difference is in the color and smell of each of the spices. Cinnamon is warmer in tone and tan in color with a sweet flavor. Cassia is more of a reddish brown in color and has a more coarse texture, with a stronger, yet more bitter flavor. Another reason why it's important to distinguish between Ceylon cinnamon and Cassia cinnamon is the presence of coumarin, a toxin that could damage your liver if eaten regularly. Coumarin is also a potential carcinogen, and Cassia cinnamon has very high levels of it. Ceylon has none or very little coumarin. To avoid this toxin, go with Ceylon cinnamon. What Are the Most Common Ingredients in Mexican Cuisine?